Happy Ink Day Team Stryker fans! I can’t believe how close we are to wrapping up Mission 004. This was the first new issue that I had drawn since 2010. 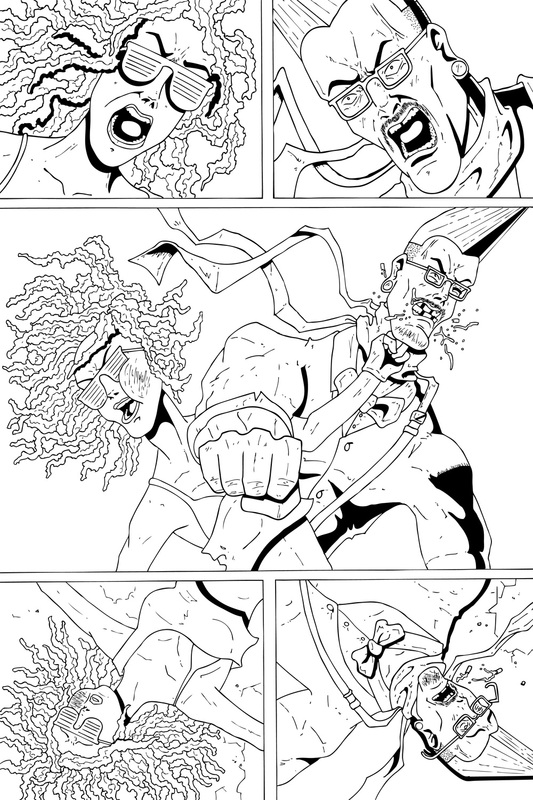 I drew and inked Missions 001-003 back to back and then colored all 3 issues back to back. It wasn’t until I finished coloring 003 that I started to work on Mission 004. I’ve been hard at work on Mission 005 and am almost half way done the issue. I’m hoping to have it more than half way finished by the time it debuts here so I’ll have plenty of time to get it done and start work on Mission 006 and 007 (a two part issue!). Have a great middle of the week and check back here on Friday to see the pencils of this hipster smacking page!